When it comes to planning your dream wedding, choosing the perfect location can be hard. Indoor or outdoor wedding? Laid back or formal? Large celebration or intimate gathering? So many questions! 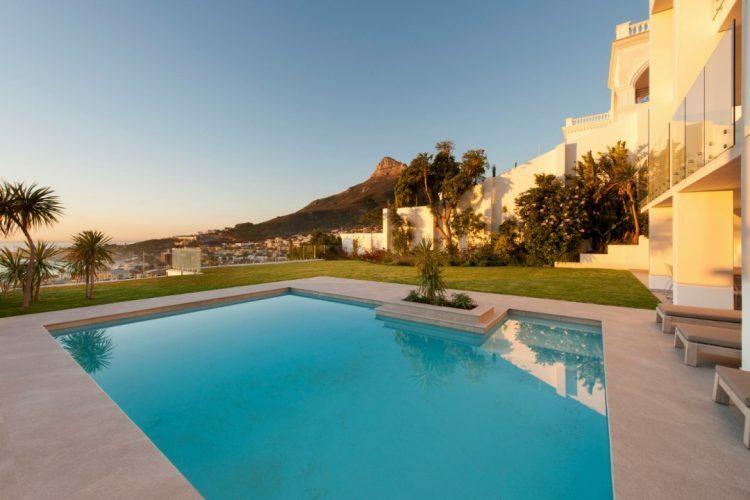 But by choosing a private luxury Cape Town villa as your wedding venue, you can truly have it ALL. Not only does it provide you with a wedding venue that is beautiful, inspired, exclusive and suitable to the occasion, but you have the spectacular city of Cape Town as your backdrop too. There’s just something so magical about celebrating a special day like your wedding day in one of the most beautiful and unique cities in the world. That combined with the lavish luxury of a private Cape Town villa makes it a day you, your husband or wife to be, as well as your guests will never forget. Not only is the Modern Hideaway beautiful, striking and unique, it also makes for a stunning Cape Town wedding venue. 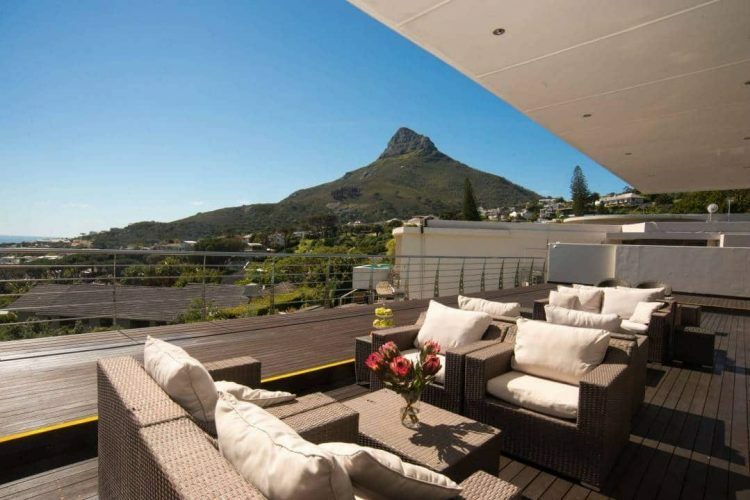 The modern contemporary outside living area boasts a spectacular deck and flawless design finishes, paired with a magnificent view of Lions Head, the Twelve Apostles mountain range and the Atlantic Ocean, making it perfect for a sunset Cape Town wedding of your dreams. This chic 5-star villa includes a range of incredible features, from 6 beautiful en-suite bedrooms, spectacular open plan living spaces, contemporary modern touches and furnishes to a beautifully decked outdoor entertainment area with a swimming pool, jacuzzi, sun loungers, ample amounts of space and so much more. The Modern Hideaway luxury villa truly has anything and everything your heart could desire for an unforgettable Cape Town wedding. Beach Retreat is the ultimate Cape Town beach location for the ultimate beach villa wedding, while still offering all the lavish luxury a prime Mother City private villa has to offer. Situated right on the white sand of one of Cape Town’s most beautiful beaches, Glen beach, Beach Retreat is the perfect wedding escape and allows you to experience the full magical force of Cape Town beach bliss on your special wedding day. 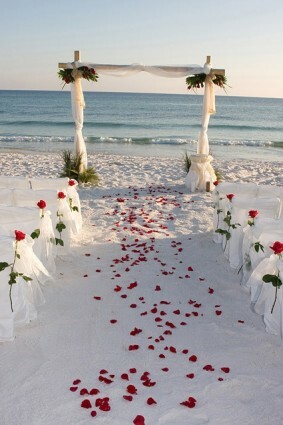 Because is there anything better than a beautiful shoreline wedding at an exclusive luxury location? Besides direct access to Glen beach and being walking distance from the renowned Camps Bay, this modern 5-star Cape Town villa also boasts a mesmerising ocean view, 6 stunning bedrooms, beautifully designed and furnished open plan living areas, a variety of state-of-the-art amenities and spectacular outdoor entertainment area and garden including a swimming pool, patio, sun loungers and so much more. Thereby making the beautiful beach retreat perfect for an indoor, outdoor or the very best combination of both wedding, the choice is yours. Resting beneath the awe-inspiring icon of the Cape Town skyline, the Twelve Apostles mountain range, and along one of the most picturesque coastlines in the world, Jo Leo is one stunning Cape Town luxury villa that provides the most magical backdrop for the most magical wedding. 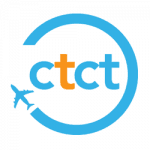 While this Cape Town gem boasts one of the most beautiful backdrops and sunset views the Mother City has to offer, it’s jam-packed with beauty, luxury, style, comfort and every lavish touch you could imagine. This beautifully designed 5-star 4-bedroom Camps Bay villa is perfect for a chic and stylish, yet laid-back and lavish intimate wedding with a few of your closest friends and family celebrating your big day in the very best way. The luxury amenities and modern furnishes, stunning pool-side deck, private terrace with sun loungers, barbeque, outdoor dining table and a rim-flow swimming pool and panoramic picturesque views makes this exclusive Cape Town villa a dream wedding location for a beautiful sunset, mid-day and starry lit night sky wedding celebration. This 8-bedroom private luxury Camps Bay villa is not only beautiful, luxurious and equipped with everything you could ever want in a private luxury villa, but it’s also perfect for larger groups. Thereby making it perfect for a larger wedding celebration, especially if you’re looking to have a few friends and family members enjoy a few days of lavish Cape Town luxury with you by staying over. Besides having ample space, Villa Sublime also boasts both an incredible indoor and outdoor living space. With a stunning decked outdoor area, garden, swimming pool and tons of luxury outdoor living touches as well as 8 beautiful en-suite bedrooms, modern contemporary open plan living spaces, an amazing cocktail bar, cigar room, sun terrace and so much more, you’ll truly have everything you need right at your fingertips. 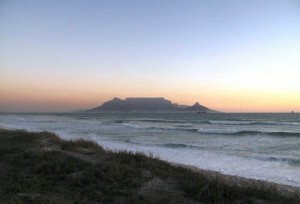 And the view of the Atlantic Ocean and Twelve Apostles mountain range just puts the sweet cherry on top. 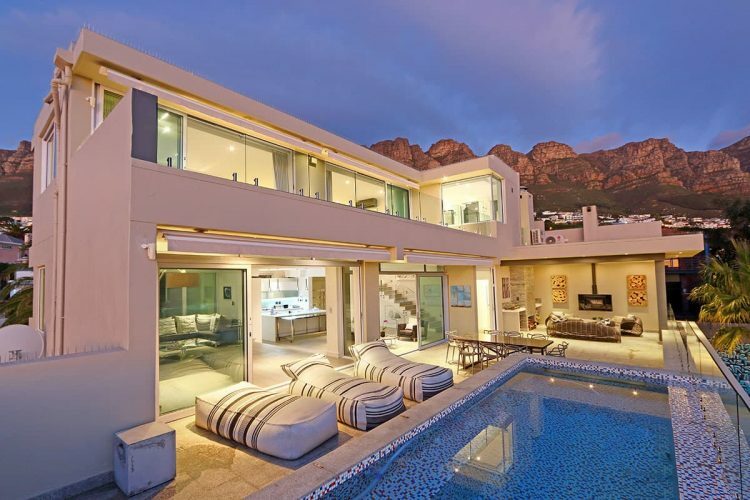 If the ultra-modern spacious interiors of this stunning Cape Town luxury villa doesn’t have you falling head-over-heels in love with it, the truly spectacular Atlantic Ocean sunset view over Camps Bay and the Twelve Apostles mountain backdrop certainly will. The prime positioning, modern interiors, open plan living areas, stunning outside entertainment area and magnificent views certainly makes the Sandpiper Villa a top wedding venue pick. Boasting 5 double bedroom each with their own sea-facing balconies, beautiful contemporary interior design touches, state-of-the-art features, an upper decked terrace, heated swimming pool and a stunning spacious garden that’s perfect for a sunset garden wedding. As well as the most spectacular Mother City ocean view of course. 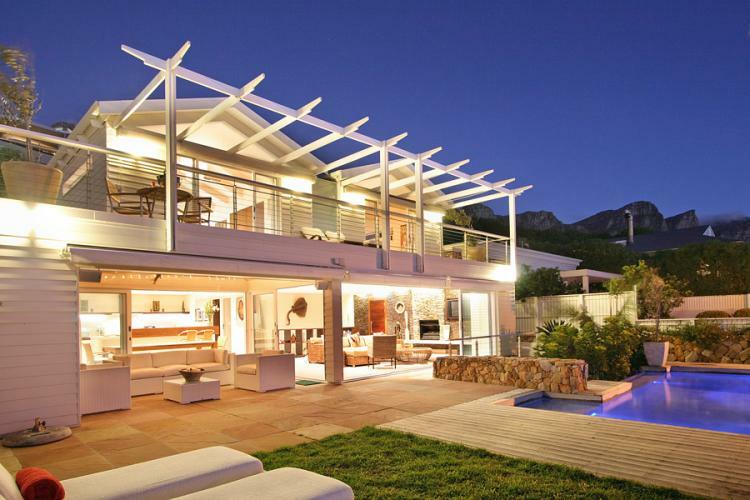 Uniquely located on the beautiful dunes overlooking the stunning Noordhoek beach front, this private luxury Cape Town villa is surrounded by the most pristine natural setting and 360-degree ocean and mountain views. If that sounds like the perfect backdrop for your Cape Town wedding, Waterline is the perfect villa wedding venue for you! Besides the stunning views, beautiful surroundings, luxury amenities and spacious modern interiors, the unrivalled exclusivity and privacy is certainly one of Waterline’s most alluring qualities. Thereby allowing you to truly celebrate your special wedding day in complete and utter privacy in one of the most beautiful locations in Cape Town. By choosing this 4-bedroom Noordhoek villa as your wedding venue, you will truly be spoiled for choice. With multiple relaxation spaces, both indoors and outdoors, a magnificent tranquil garden, a rim-flow pool and a beautiful decked area overlooking the dunes, ocean and mountain tops, the majestic tranquil atmosphere of this luxury Cape Town villa makes it perfect for a relaxed intimate wedding celebration. The name truly says it all! 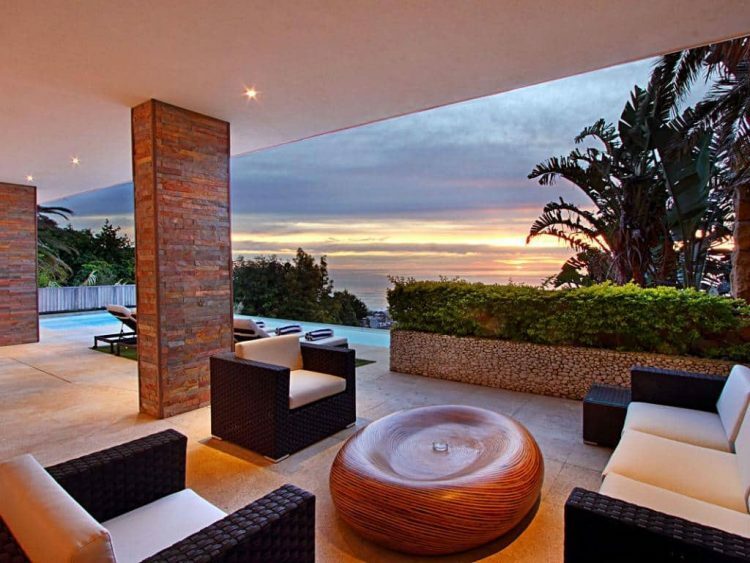 This jaw-dropping 5-star private luxury Camps Bay villa is sure to sweep you off your feet in the very best way! This Cape Town gem is without a doubt a wedding venue dream come true. Boasting flawless modern contemporary design, multiple chic and spacious open plan living areas flooded with tons of natural light, a floating roof with clear storey windows, 2 rim-flow swimming pools, pebble box fireplace, water features and a beautiful deck and garden, what more can you ask for? And that’s merely scratching the Modern Luxury surface, because this exclusive luxury Cape Town villa has so much more instore for you. And if that isn’t enough to make you fall head over heels in love with this Camps Bay property and make it your Cape Town wedding venue right away, it’s close proximity to the iconic Camps Bay beach-front and sensational panoramic views of the Atlantic Ocean and Twelve Apostles mountain range sure will. 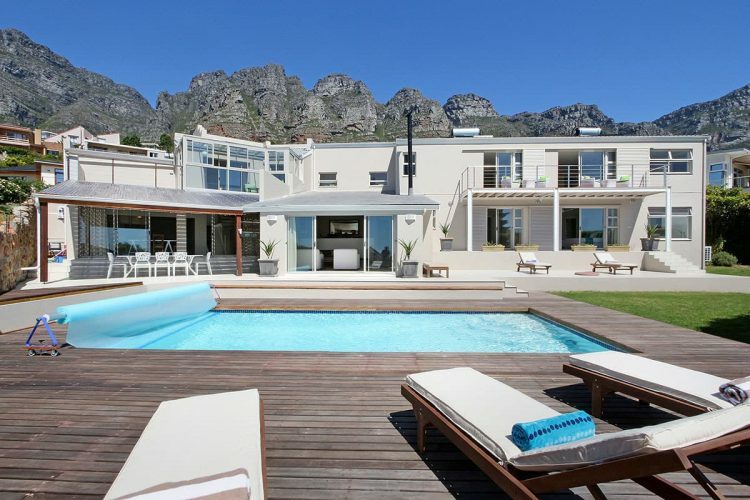 This exclusive Cape Town villa is a 3-level, 5-bedroom, ocean-facing wedding dream come true! 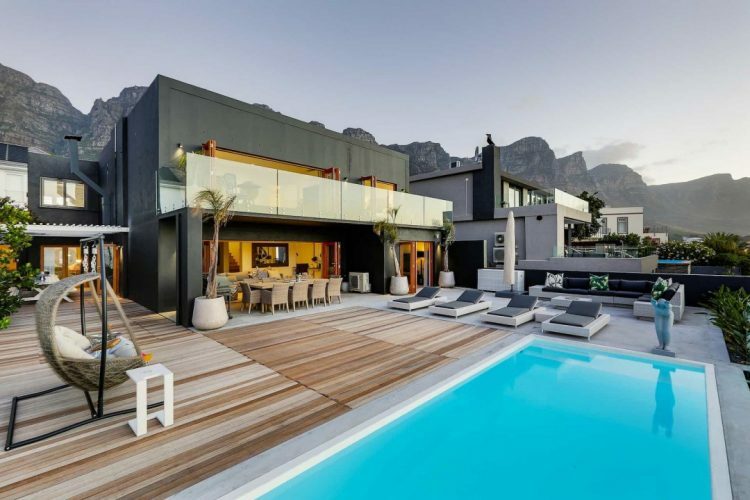 The mesmerising Atlantic Ocean and striking Twelve Apostles mountain range view of this 5-star private Camps Bay villa is merely just the beginning of what it has to offer. The 3 levels of Villa Felicity lavish luxury boasts 5 beautiful ocean-facing bedrooms, contemporary open plan living areas, a stunning entertainment lounge and bar area opening onto a spacious balcony, swimming pool and a stunning outside living area featuring a patio, sun lounger and outside seating. Making it perfect for a spectacular outdoor wedding celebrated against the backdrop of some of the Mother City’s most beautiful landmarks and attractions. Spacious, luxurious, exclusive and set against the truly spectacular backdrop of the Twelve Apostles, Villa Panorama is sure to provide you with a wedding venue that will not only have you and your husband or wife to be celebrating into the morning hours, but all your guests too! Featuring 6 stunning bedrooms, multiple spacious sea-facing living and relaxation areas, state-of-the-art amenities and luxury modern finishes, 2 swimming pools, beautiful spacious patios overlooking the renowned Clifton second beach and Camps Bay beach front and so much more! 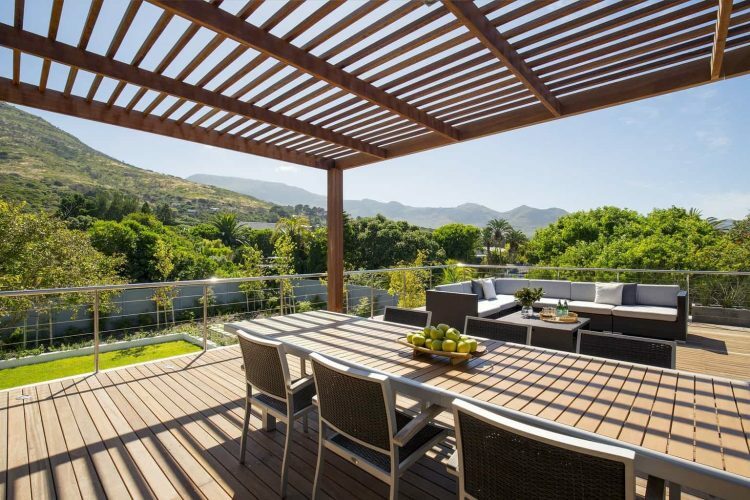 Villa Panorama is also a great wedding location if you want a few of your close friends and family to enjoy all the lavish luxury of this Camps Bay villa with you for a few days. 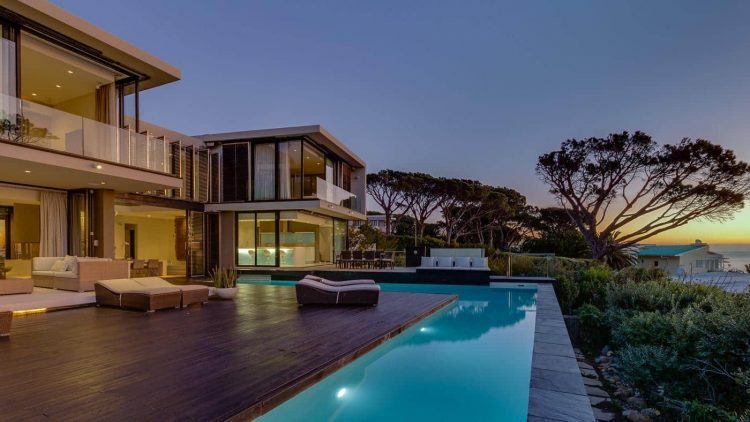 This 7-bedroom 5-star Camps Bay Villa is beautiful, luxurious and spacious and ready to provide you with a wedding venue that’s bound to turn into one of the most glorious celebrations of all time! Plus, 7 bedrooms means there’s tons of space for your loved ones to share in this incredible and luxurious adventure with you! Besides ample amounts of space, this Atlantic Seaboard private villa features a spectacular open-plan design, with ample indoor and outdoor living and relaxation areas, a swimming pool, a variety of high-end features and modern contemporary touches as well as a beautiful spacious garden with a swimming pool, dining area, and sun loungers. Ideally positioned just a short walk from the magnificent Camps Bay beach front and vibrant Camps Bay sunset strip, the prime location, magnificent indoor and outdoor living spaces, ample amounts of space and spectacular ocean and mountain views ensures the stunning Atlantic Retreat has everything you’ll need for a spectacular wedding of a lifetime. 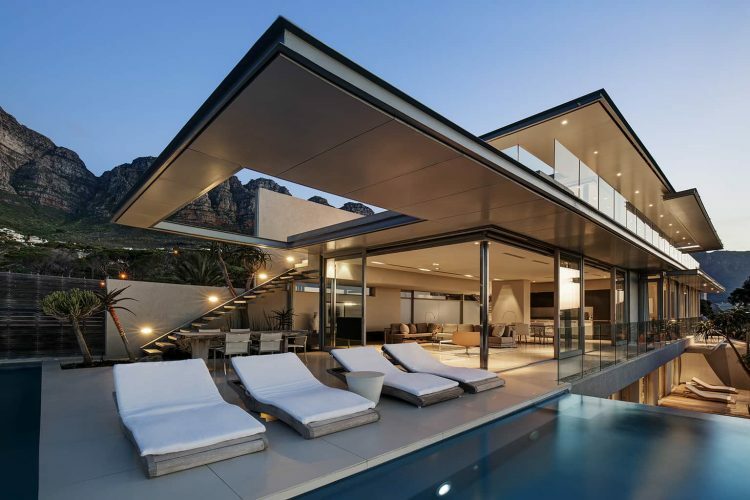 The beautiful and exciting city of Cape Town certainly has no shortage of magnificent, private luxury villas available to host the wedding of your dreams. Each one adding something unique, beautiful and truly magnificent to the experience. By choosing a luxury Cape Town villa as your wedding location you’re therefore not only guaranteed unparalleled luxury, exclusivity and a truly spectacular backdrop of some of the most scenic sights the Mother City has to offer, but a truly unforgettable day and night you’ll cherish for many years to come. Many of our luxury villas offer an excellent choice for small, intimate, private weddings. We also offer a vast choice of romantic accommodation for your honeymoon, along with Guest Concierge, local tours and plenty more besides. Get in touch today to find out more about hiring a villa for your wedding in Cape Town.